Ink is my blood. I draw for my own sake and for your pleasure. As a long-time resident of the Old World, I split my time between the kitchen and my studio.’ Apollonia Saintclair. She creating neo-noir surrealist sexscapes. 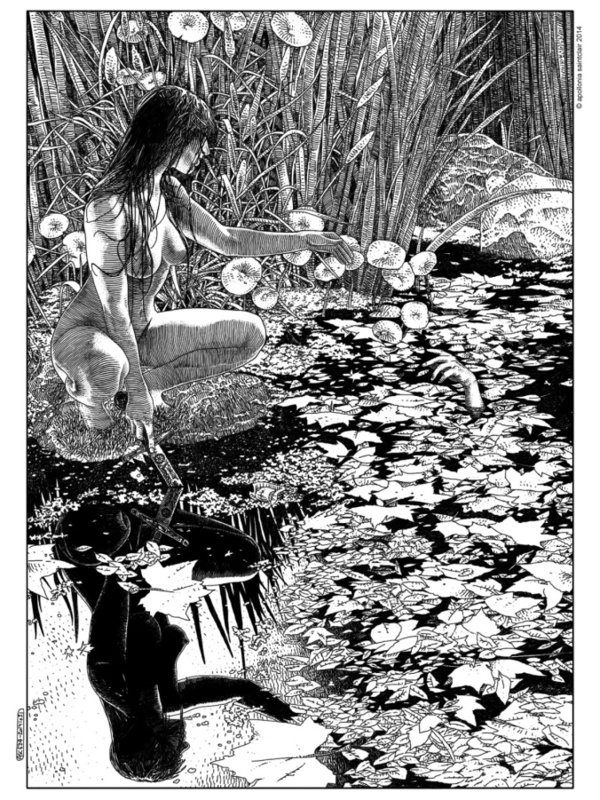 Apollonia Saintclair, the artist who’s collected thousands of obsessed fans on Tumblr with her weird and wonderful black and white erotica. A lot of work, it’s a great pointillism, with a good creativity! I like .